This doesn’t mean that sectors experiencing less digital disruption can simply plod along. Innovation in the more progressive industries is exposing consumers to the kind of service that can be achieved through digital technologies – accessibility, efficiency, simplicity and immediacy. It is now expected of service providers, of any type, to communicate relevant and contextual information, such as bills, statements and policies, instantly via the customer’s channel of choice. The digital world also offers the kind of instant information – like price and service comparisons – that produces a more informed target market. It is therefore imperative that organizations stay ahead of the digital curve to remain competitive. 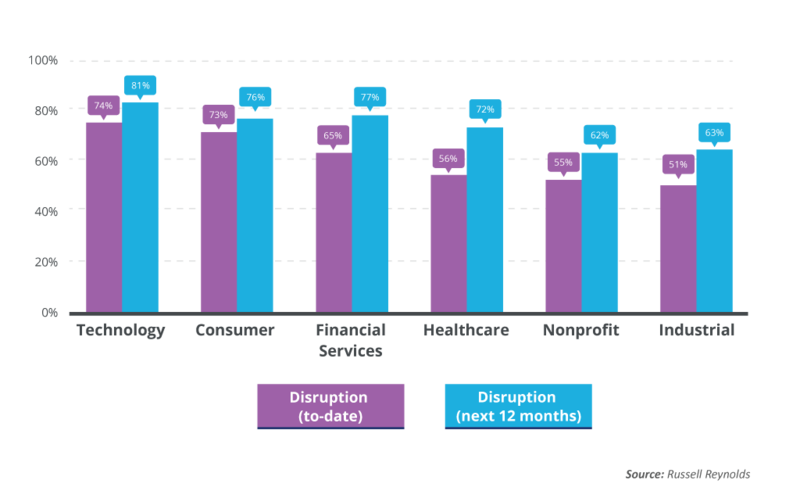 A recently published Digital Pulse report reveals six industries that it says are experiencing the most digital disruption. Technology, Consumer and Financial Services have placed top 3 for the past year and, the report indicates, will continue to experience significant disruption going into 2018. And evidence shows that digitally enabled businesses have produced better results – a study by McKinsey & Company found that digitally enabled insurers, for example, grew twice as fast and delivered better profitability than their non-digital competitors in the period 2010 to 2014. One of our key focus areas this quarter is helping insurance companies understand why customers are not digitally engaged and what can be done about it. Insurers have an added complication when it comes to customer engagement – the service relationship often sits with a third party, such as a brokerage or online comparison site. Opportunities for the insurer to connect with the policyholder are scarce and in some cases even the most basic of touchpoints – bills and statements – are not in their direct control. Digital communication can bridge the gap! Research shows that digitally-enabled insurers are growing twice as fast as their non-digital competitors and are delivering better profitability. Put simply, insurers have to build direct digital customer relationships or risk falling further behind in service expectations. Read these great resources below for more information on this topic and how Striata can assist in enhancing the customer experience using digital communication to create ‘moments that matter’. Blog post by Mia Papanicolaou: Why are insurance customers not digitally engaged?